A new study from Macquarie University shows that the habit of dumping fish waste back into the water can have significant and concerning impacts on the behaviour of marine animals. Recreational anglers typically return to boat ramps and wharves after fishing to clean their catch, discarding the scraps and bones back into the water where they are scavenged by fish, crabs, snails and birds. “It might seem harmless, but feeding wildlife, whether on purpose or not, can change animals’ behaviour, disrupt the food chain, and cause negative health impacts,” said lead author of the study, Joni Pini-Fitzsimmons. The researchers looked at a small group of short-tail stingrays in Jervis Bay on the NSW south coast, which have scavenged fish scraps at a popular boat ramp for over 30 years. They found that this seemingly small-scale and incidental feeding strongly influenced the behaviour and movements of the stingrays. 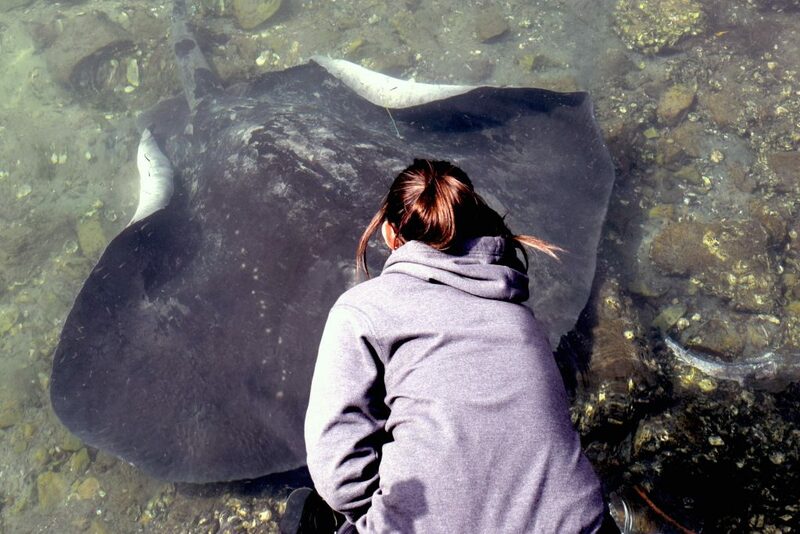 The stingrays would arrive in anticipation of food even if anglers were not present and cleaning fish. “The fact that these animals are showing up every afternoon hoping for a free feed shows that they are developing a dependency on the fish scraps, which may have repercussions for their survival,” said Ms Pini-Fitzsimmons. Associate Professor Brown said that fish cleaning facilities are built at boat ramps for convenience, but their construction doesn’t take into consideration the impact of waste from these facilities on the creatures that feed off it. “While we don’t know what the long-term implications of this switch in stingray behaviour are likely to be, it is clear that dumping fish scraps can have unintended effects,” said Associate Professor Brown. Pini-Fitzsimmons J, Knott NA, Brown C (2018) Effects of food provisioning on site use in the short-tail stingray, Bathytoshia brevicaudata. Marine Ecology Progress Series. July 2018.